This lab is designed to be used as a means of reviewing the use of the binocular microscope. 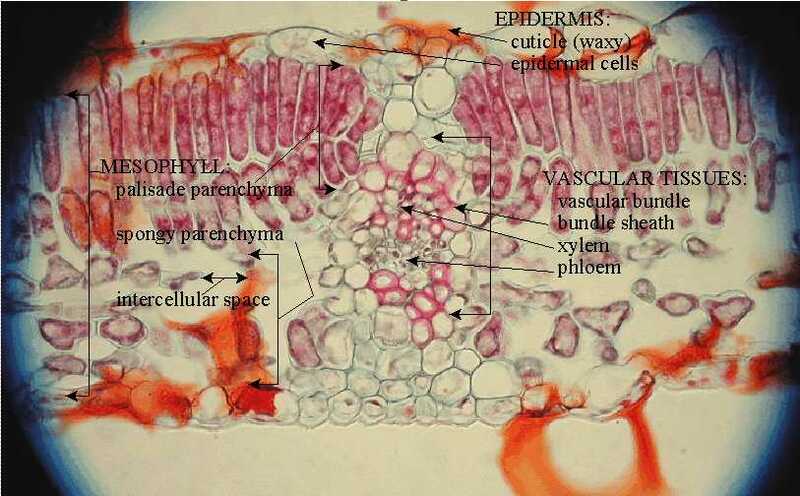 Vascular bundle, showing xylem (larger red cells) and phloem (indistinct small greenish cells) wrapped in bundle sheath. Smaller vascular bundle with pallisade parenchyma and spongy parenchyma clearly shown. 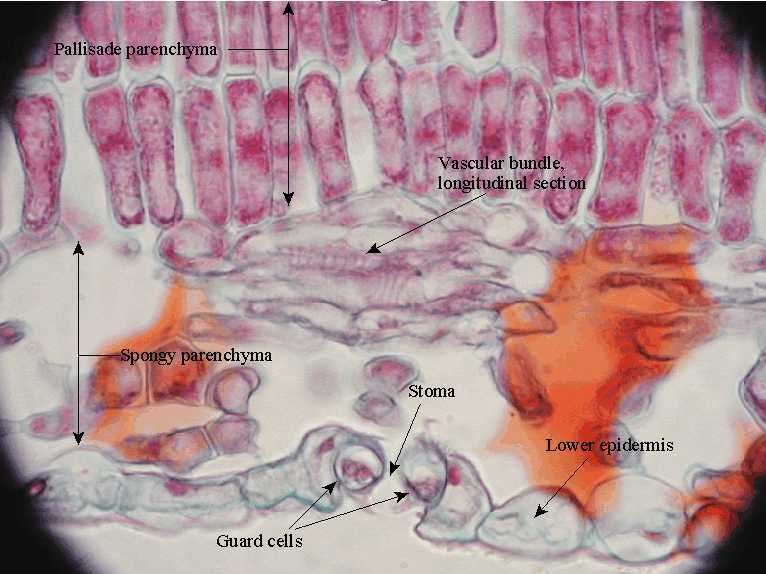 Here is a labeled version of the image of the histology of the leaf. guard cells guarding stoma at center bottom. Here is a labeled version of guard cells and tissues.